Affordable, practical residential solar systems. Comprehensive solar panel options for your renewable energy needs. 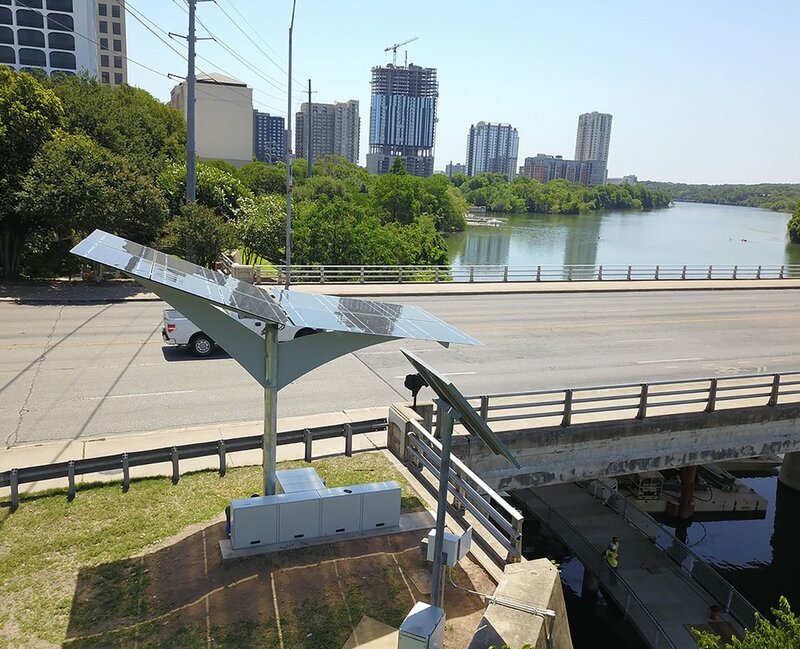 Turnkey commercial solar power system designed, installed and supported by the most experienced team in Central Texas. We design and install the electric vehicle charging and the best solar backup battery systems, such as the Tesla Powerwall. Lighthouse Solar has focused on the customer experience for 10 years. We pride ourselves on delivering the best solar power systems for your home, ranch or business. We’ve designed, installed and supported over 3,000 solar panel systems throughout Central Texas. We offer the most comprehensive list of options for solar panels, micro-inverters, solar optimizers, and inverters. We focus on delivering the highest quality and right designed solar solution with the best customer experience possible. Our solar energy technicians are backed by 70+ combined years of experience. We guide you through concept, energy estimates, solar solutions and design documents. Architectural solar uses solar technology as a design element and as a building material. We design, specify and install off-grid solutions when the grid is not practical or a stand-alone solution is preferred. Solar project planning, coordination and turn-key installation services for production and custom builders. We help architects coordinate and specify appropriate solar solutions through the design process. Solar financial planning, site planning, feasibility studies for real estate developments. Great price, excellent service, very personal touch, the team really cared about getting us the best system at the right price. Lot's of experience with all the permitting and financing process. Made it all a breeze! Lighthouse Solar did an excellent job installing our system. From our initial meeting to installation and follow-up, the staff was always pleasant to work with. We are so pleased with our panels and how they are performing. Also, the LightGauge online monitoring allows us to keep tabs on the performance of our panels vs energy consumption. When we are out of town, we like to pull up the LightGauge monitoring so we can see if there's anything out of the ordinary happening at our house. All the way around, Lighthouse Solar gets an A++!